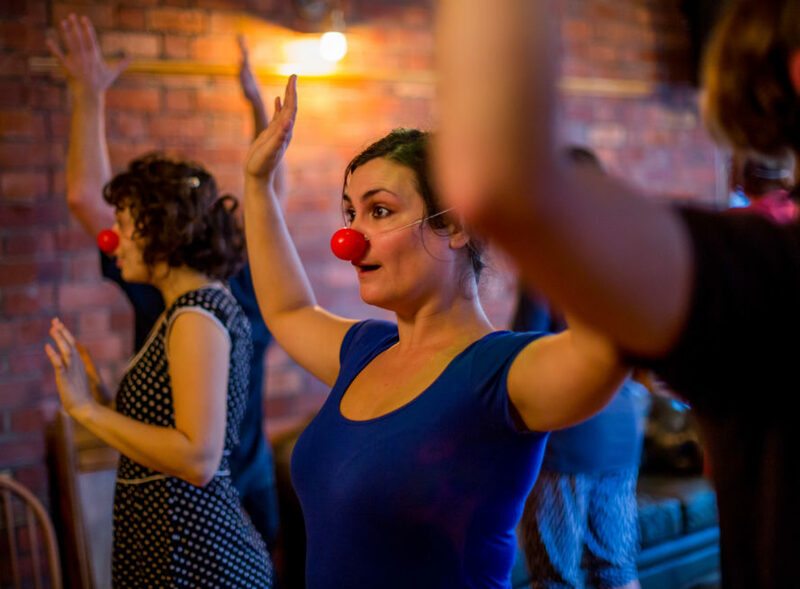 Facilitator, director and dramatherapist, Holly Stoppit leads this two-day workshop which gently immerses you into the state of clown, where everything is possible and nothing is quite as it seems. You will be led through a carefully paced progression of group games and exercises, designed to free up your body, voice and imagination. You’ll explore your relationship with play, flow and connection and learn how your physicality, breath and timing can provoke laughter. You’ll discover how embracing and sharing your vulnerability can open up an audacious, laughter-laden quality of connection with audiences. This training is ideal for first-timers or performers of any discipline and experience who wish to improve their stage presence and connection with audiences. We are extreme lucky to welcome Holly to Bath – one of the foremost teachers of her art. Trust us, this is not to be missed.